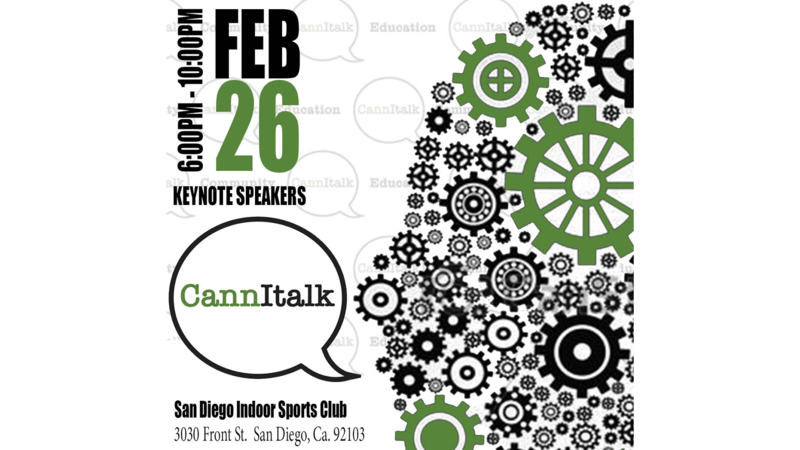 CannItalk gives members of the community 15 minutes to speak on important topics related to the cannabis industry and continuing education on the applications of cannabis in healthcare and adult-use settings. Tickets are $10 at the door. For February, we will be speaking about utilizing cannabis for sexual dysfunction, social media applications for businesses, as well as visual media in the cannabis space! Sexual Dysfunction and Cannabis- Dr. Nick Karras Dr. Nick Karras (sexologist) is the creator of the Passionate High, a project that serves to educate people on how to use the unique cognitive and physical effects that cannabis produces to develop stronger relationships and experience greater creativity and passion. He is also a photographer and the author of Petals, a break-though book that presents stunningly beautiful images of vulvas. The book is also the subject of the award-winning documentary film: Petals – Journey Into Self-Discovery. Dr. Nick holds a Doctorate degree in Sexology from the Institute for Advanced Study of Human Sexuality (IASHS) in San Francisco and was awarded the prestigious Sexual Intelligence Award by Dr. Marty Klein. He is also a regular contributor to Culture Magazine, Fusion, Vice, and Dope Magazine, and has been a featured speaker at SSSS (The Society for the Scientific Study of Sexuality) and ASEP (Association of Sexual Energy Professionals). Social Media and Business- Dominique Bradley Dominique Bradley is an inspirational motivational speaker and social media visionary. Dominique leverages his life experiences to connect with people of all backgrounds to help them succeed. As a trailblazer in the cannabis industry’s digital marketing sector, Dominique sees the power and potential within social media. He coaches fellow professionals and businesses to monetize their influence on all social platforms. He does this by diving into the story behind the product or company to utilize a human connection that will reach desired target audiences.In the realm of motivational speaking, Dominique uses his authenticity to establish a personal connection with his audience. Dominique has had numerous years of experience in working with cultivators, distributors, delivery services, and private investors of the cannabis industry while always keeping the foundation of helping these companies to grow and develop their brand through his creative team’s partnership and desired goals. Dominique has founded a company, The Plug 420, to create what he calls elevated connection. He does all of this using the power of social media with fresh and forward thinking. Visual Media and the Cannabis Industry- Micah Tatum Micah began his business media career in 2005 with night club venues and event promotions. He transitioned into marketing in 2008. Since then, he has worked with numerous organizations in almost every industry and at every level. Such companies include Vitamin Water, Fuze beverages, and Heaven Hill Distilleries, and Harvey’s Handbags. His political contributions include Alex Garcia’s campaign for City of Corona councilman. Micah’s years of C-Level coaching and consulting has allowed him to develop as a leader, solutions provider and forward thinker. Doors open at 6:00pm, the talks will start at 7:00pm. Networking will be available before and after the event. Please come down and join us! Check out our Facebook page: https://www.facebook.com/CannItalk/ for updates about our group!